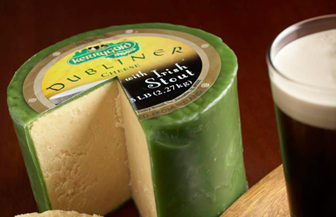 A Classic Combination from the capital of Ireland, Dubliner Irish Cheddar and Stout, are now together in a unique new cheese. The classic flavor combination brings out the sweet, nutty, rich flavor of Dubliner and swirls it together with the malty, caramel, bitter flavor of a perfect pint of Irish Stout. More moist and sharper than regular Dubliner, it has a distinctive granular texture that gives way to a smooth, creamy finish. The cheese sports a festive green wax rind to welcome the Holidays. The stout is actually a “double milled” cheddar. Traditional Irish Stout, made with roasted barley, has a bitter, slight hoppy finish. The stout adds complex caramel notes that accentuates the flavor. When tasting this cheese, the creaminess fills your mouth, the nutty flavors begin to open up and the caramel finish lingers on the palate. It is really a unique flavor experience. 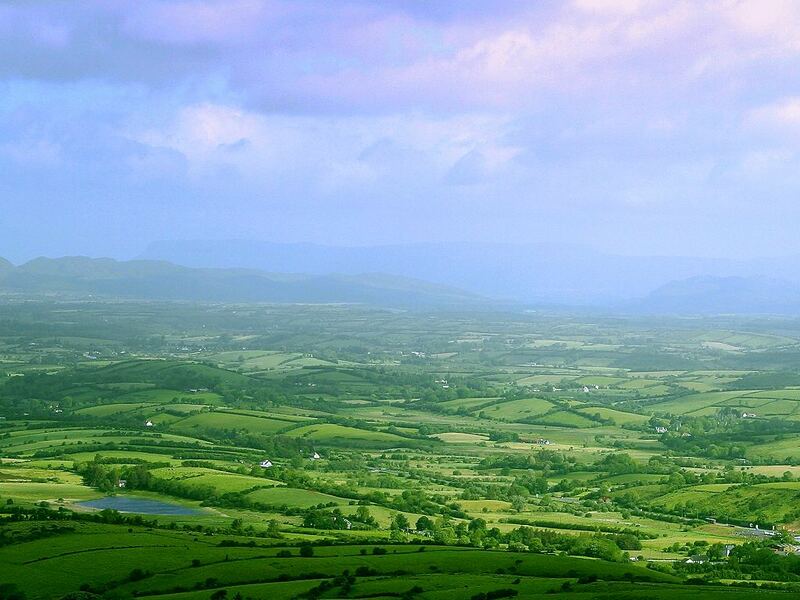 Produced in County Cork, south of Dublin, it’s made from the milk of grass fed cows that graze on the lush green rolling hills of southeastern Ireland. The grass makes the cheese rich in beta carotene. Made using the traditional “cheddaring” process and is set aside to age for 12 months. When it is mature, the cheese is milled again. Milling is a process where the cheese is put through a “grinder” to break it into smaller pieces. This is where the beer comes in. 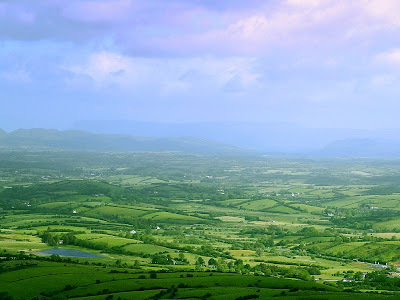 The Irish Stout is mixed into the cheddar pieces and the combination is put into a cheddar form where it is aged a bit longer to assure that the smaller pieces combine to form a cheddar wheel. The cheese round is then finished with a dip into green wax. Not only is this colorful, but it acts as a preservative against mold.